See also original StarPlus plan location on their website! StarPlus from Hoststar satisfies even the most complex web hosting needs! 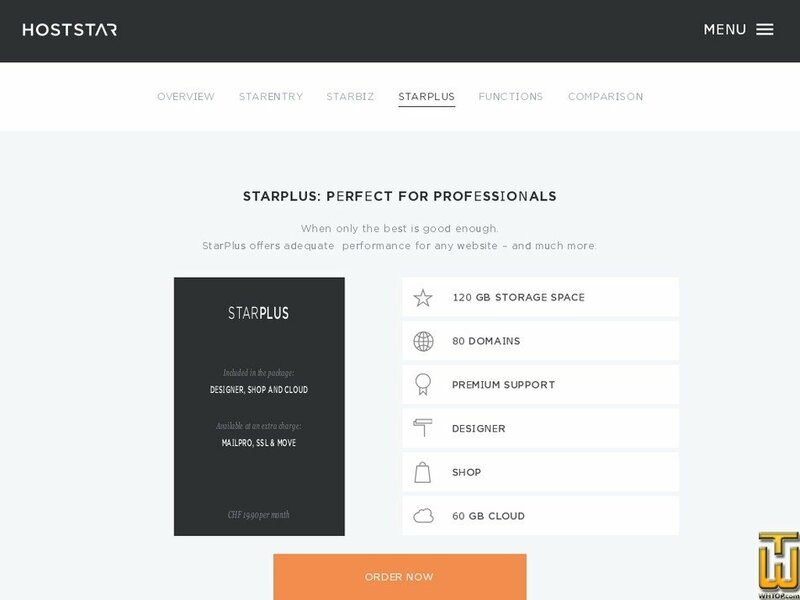 Particularly for companies and web agencies, StarPlus offers maximum performance in all areas, which you can manage yourself using My Panel. StarPlus is the perfect platform for an outstanding web presence. Optimally configured for all CMS such as WordPress, Joomla, Typo3, Drupal and a lot more. Price: CHF 19.90/mo. VAT 8% inc.
Price: CHF 24.90/mo. VAT 8% inc.